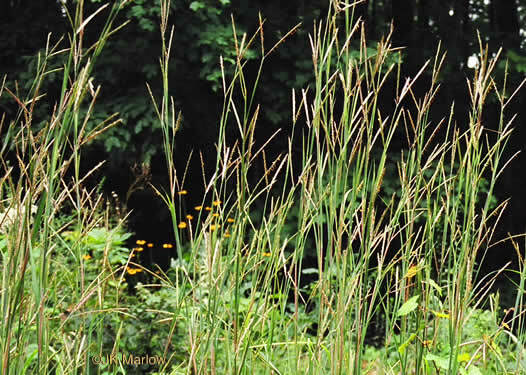 The once-endless tallgrass prairie with majestic big bluestem is past, per Book of Field and Roadside. 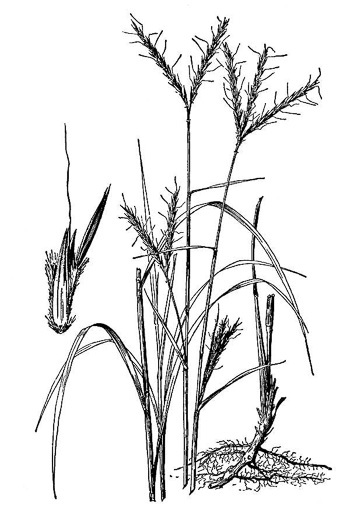 Isolated stands exist today mainly along railroads, fencerows and roadsides, per Book of Field and Roadside. 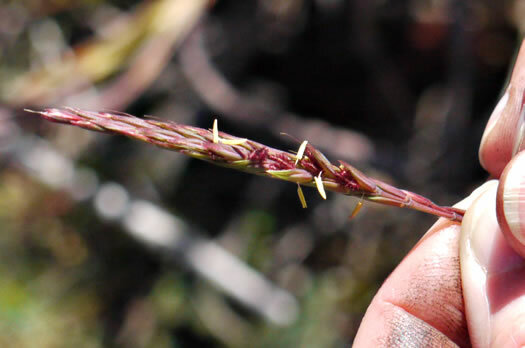 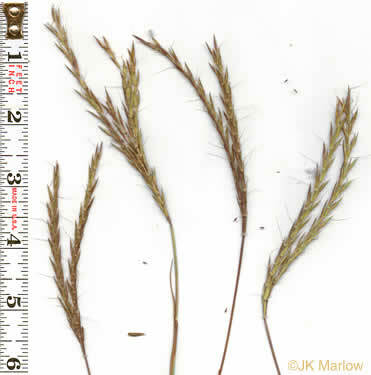 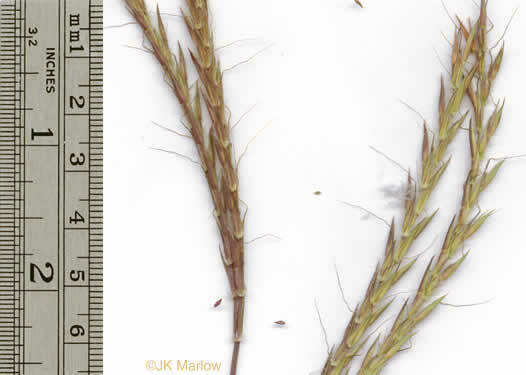 Racemes on long-exserted terminal peduncle mostly 3-6, fewer on branches, per Manual of the Grasses of the United States. 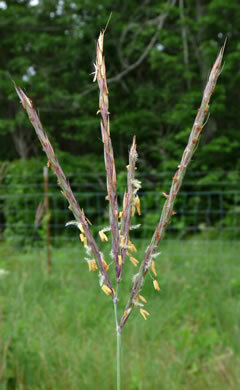 Flowering raceme has 3 branches arising from a common point (the Turkeyfoot), per Wildflowers of Tennessee. 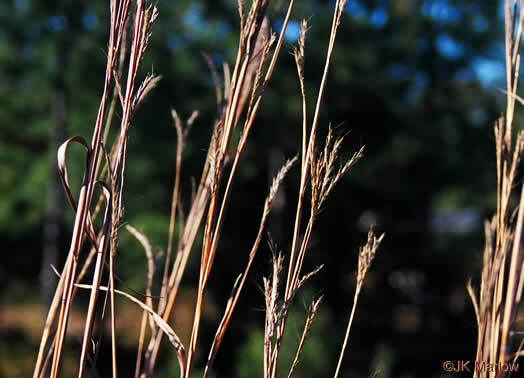 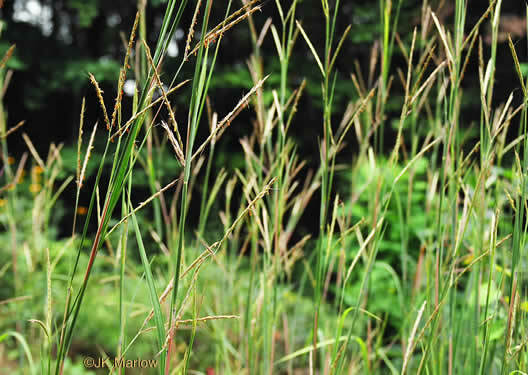 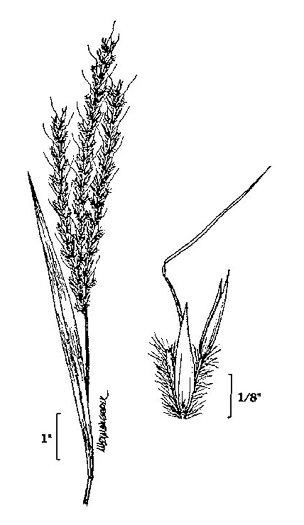 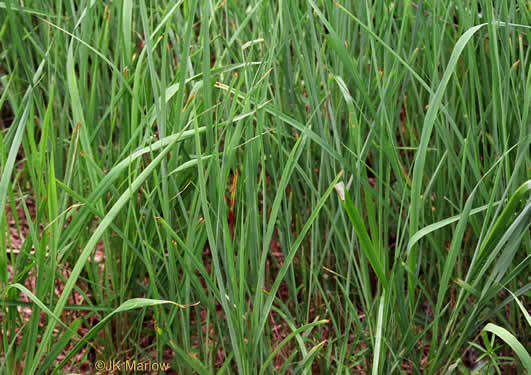 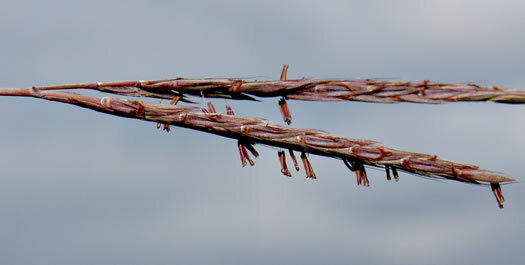 Bristles (awns) that project from the flowers are sharply bent, per Book of Field and Roadside. 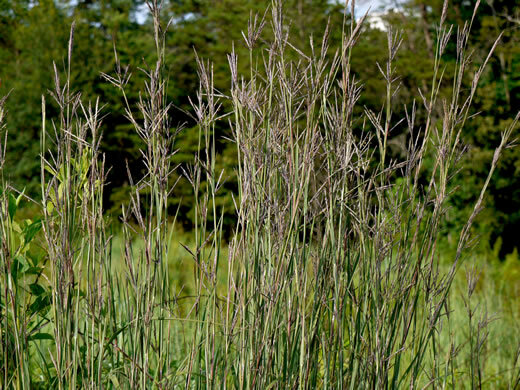 Purplish seedhead a narrow cluster of linear raceme resembling a turkeyfoot, per Gardening with the Native Plants of Tennessee.